The best hosting provider with a proven track record. All HostNed web hosting plans are hosted on the fastest and most reliable web servers available. These are full-on premium accounts at wholesale pricing. No ads, no throttle limiting, no hidden fees, no kidding. See the difference for yourself. Need help moving? We offer Free Migration Support! Affordable Web Hosting with Unlimited Possibilities! The most generous helpings of space and transfer on state-of-the-art web server technology. 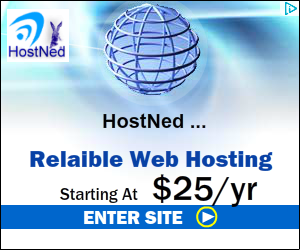 HostNed’s Reseller Hosting Plans – If you demand quality, look no further. Domain registration service, including new TLDs.